Exploring the Intersection of Faith and Environmental Justice with Theologian Hussein Rashid - Advanced Consortium on Cooperation, Conflict, and Complexity (AC4). Muslim Girlhood, Past and Present: A Conversation with Shenila Khoja-Moolji – BLARB. KHOJA-MOOLJI: I had been researching and writing about the convergence on the figure of the girl in international development policy and practice for some time. I noticed that many development campaigns portray girls in the Global South as not only threatened by poverty, disease, and terrorism, but also as holding the potential to resolve these problems. Watch This Animated Tale of 'The Secret History of Muslims in the U.S.' | Colorlines. I'm in a video on the New York Times. 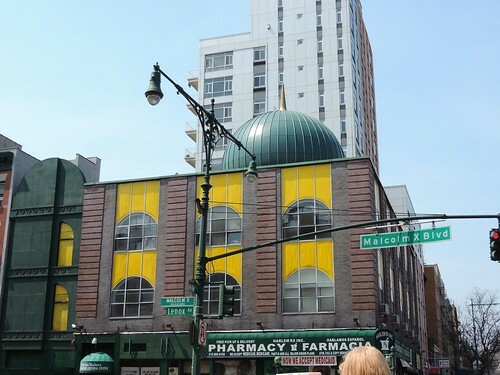 Islam in America: What you don't know about Islam's U.S. roots. "A lot of people might assume Muslim immigration started in 1965 when the U.S. had a period of immigration reform, others will date it back to the 1979 Islamic revolution in Iran, yet others to the 9/11 attacks, but usually no one looks farther back than the 1960s and certainly not beyond the 20th century for this history at the popular level," said Hussein Rashid, who teaches at Columbia University. 9/11, Its Lingering Effects On US Policies, And Trump | News | teleSUR English. The U.S. Supreme Court upheld the government’s ban, albeit a narrower version of its predecessors, further vilifying Muslims and legitimizing their discrimination. However, the highest court’s decision highlights that particularly since the 1978 Iranian Revolution and the 9/11 attacks, “Muslims have been “racialized”: bound together and stereotyped, instilling an idea of Muslims as a foreign threat and brown-skinned,” that includes anyone from South Asia or the Arab world, wrote Rashid after the ruling. Religion As Critique | Reading Religion. Travel ban decision follows the Supremes' record of racial classification - Religion News Service. Whether viewed in terms of contemporary politics or American history, the Supreme Court’s ruling on President Trump’s travel ban against several Muslim-majority countries is not surprising. The court has safeguards designed to make it apolitical, but it is never immune to its immediate surroundings on Capitol Hill. Historically, as long as the people support its decisions, the court has ruled in favor of discrimination. And when it comes to admitting people to these shores and welcoming them to the American nation, the court almost never acts for the rights promised in the U.S. Constitution without first denying them. Hussein Rashid answers 5 questions from the We Are Human… | PACH. This month, we chose Hussein Rashid as our featured PACH member. Hussein Rashid is founder of islamicate, L3C, a consultancy focusing on religious literacy and cultural competency. He works with a variety of NGOs, foundations, non-profits, and governmental agencies for content expertise on religion broadly, with a specialization on Islam. Learn more about Hussein and read his responses to PACH’s We Are Human questions below. Break This Down: Q & A with Hussein Rashid on Pop Culture, Ramadan, and Islam’s Diversity | Barnard College. A Discussion with Professor Hussein Rashid | the.Ismaili. Enforced disappearance: Why a whole community is going missing - Home - Herald. How Arab Music Makes Movie Villains. Islam scholar Bernard Lewis left unfair legacy of disdain for Muslims - Religion News ServiceReligion News Service. Lewis’ transformation from scholar to neo-imperialist was not sudden, but there is a hint to be found in “The Assassins.” Originally published in 1967, it is an erudite work that sought to correct the record on the Nizari Isma’ilis, a Shiite Muslim community that had long been maligned as consumers of hashish, known in Arabic as “hashashin,” which transformed into the word “assassin.” The book fascinated me because it was a scholarly book at a time when scholarship was rarely applied to such topics. Yet despite Lewis’ knowledge, he still chose the pejorative name for the Nizari Isma’ilis for the title of his book, suggesting he did not see the humanity of the people he studied; they were still objects to him. Specialists will take the customary deliberations about arts and culture into new, substantive, and shaping discussion. Beyond “leisure” or “entertainment,” beyond art’s personal impacts, beyond contributions to tourism, community building, or the classroom, do the arts and culture power progress? This convening will ask if (and how) the arts provide structures and strategies for social change, how they help define peoples and nations, how they deal with actual matters of life and death. Are the arts essential in ways that economics and medicine and politics are? If so, how is this manifest? What are the theoretical bases that ground the arts and govern our expectations of them? This year is the 10th year I am inviting people to tweet the Qur’an for Ramadan. I will be tweeting @islamoyankee. This year, I plan on using The Study Qur’an. Discovery: Living Our Values | Trinity Church. This Week: American Values Religious Voices How might religious values be expressed in our current political situation? At this interfaith panel with Professor Aaron Koller, Professor Hussein Rashid, and Trinity’s Theologian-in-Residence, Dr. Deirdre Good, we will discuss our involvement in the project American Values Religious Voices (valuesandvoices.com).